Is run by Owen MacPhillamy who is the sole therapist. 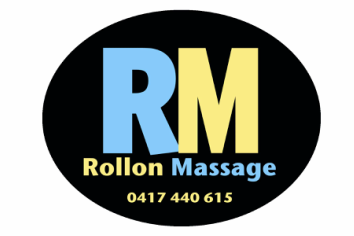 Rollon Massage provides a Mobile remedial massage treatment. I'll come to you, within the Noosa area. Upon moving to Noosa and finding that the massage industry was focused on day spa treatments and promoting massage as a luxury indulgence. I wanted help people realise that remedial massage is a treatment that can be used to get the most out of your body. Improve your recovery from injury. Rollon Massage is not confined to the "Day spa" routine, through consultation and assessment with you, we build a treatment plan to suit. I have been a massage therapist since 2010 and in that time has had the opportunity to work with many individual who push their bodies to the limit. This work has included, the Noosa Tri, the Noosa ultimate sports weekend, Mooloolba tri, various riders racing the QLD team series and horse riders. It also includes small business owners whom have suffered major injuries in their youth or who need their body working so they can perform. I have also completed a Bachelor of Management and hold a blue card and first aid certificate. Within massage my main interest is injury prevention and rehab, through bringing a greater awareness to the client of how their body is functioning.